Johns Hopkins astrophysicist Charles Bennett has spent his career studying the heavens, so it seems only fitting that he recently took his place among stars of another kind: those inducted into the University of Maryland Alumni Hall of Fame. Bennett, who recently shared the $1 million Shaw Prize in astronomy for his groundbreaking work in determining the age, shape and composition of the universe, now shares this honor with 59 other distinguished University of Maryland luminaries, including Muppet creator Jim Henson, television writer and comedian Larry David, former NFL player Norman “Boomer” Esiason and American choreographer Liz Lerman. In a black tie ceremony that takes place only once every five years, Bennett was inducted on June 5, alongside nine other honorees, including Gail Berman, a Broadway theater and Hollywood television and movie producer; Lester Brown, founder and president of the Earth Policy Institute; Jeong Kim, president of Bell Laboratory; Charles Thomas McMillen, former U.S. Congressman, NBA basketball player and Rhodes Scholar; and Robert Parker, the Wine Advocate. Bennett is the principal investigator of the Wilkinson Microwave Anisotropy Probe (WMAP), a spacecraft that has added significantly to our knowledge of the universe’s age, history and contents. The WMAP launched in 2001, observes the cosmic background radiation, the oldest light in the universe. In addition to the Shaw Prize, Bennett and the WMAP team made international news with their announcement that the universe is 13.7 billion years old and is constituted of less than 5 percent atoms, one quarter dark matter and nearly three-quarters a mysterious, dark energy. WMAP’s results also support the view that the cosmos grew from subatomic size to astronomical scale in less time than it takes to blink your eye. Bennett’s team has continued to make headlines in the years since, as these conclusions were further bolstered with more data. In 2009, WMAP reports were the most cited scientific papers in the world. WMAP results were Science magazine’s “breakthrough of the year” in 2003. 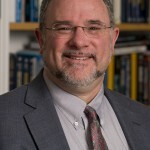 Bennett was elected to the National Academy of Arts and Sciences in 2004 and the National Academy of Sciences in 2005. He received two NASA Exceptional Achievement medals and a NASA Outstanding Leadership medal.